Food for Thought is a program of Animal Place designed to help animal shelters adopt an animal-friendly menu policy for their sponsored events. 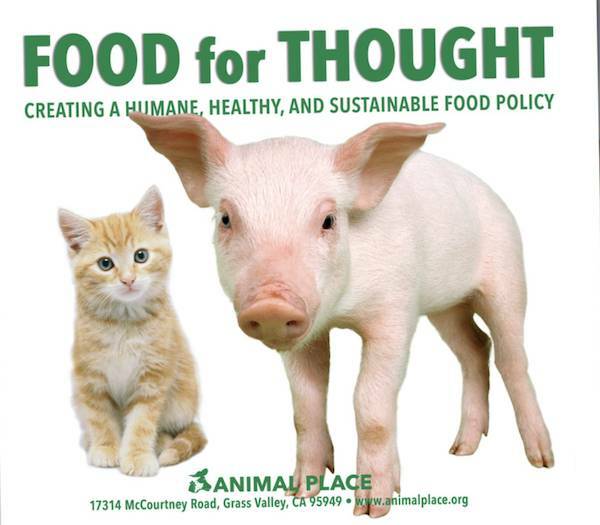 Food for Thought is a program of Animal Place designed to help organizations adopt an animal-friendly menu policy for their sponsored events. Visit Food For Thought - Report Card for updates on how shelters rate.